Texwipe is the worldwide leader in contamination control supplies and critical cleaning products including cleanroom wipers, cleanroom Swabs, cleanroom stationery, sterile products, adhesive mats and more. It all started in 1964 when Edward Paley invented a product to solve a problem that no one could see. The problem was microcontamination - minute particles that were creating errors on the disk and tape drives of the burgeoning mainframe computer industry. In inventing the first low-lint cloth for cleaning computer equipment, Mr. Paley created a company and invented an industry. 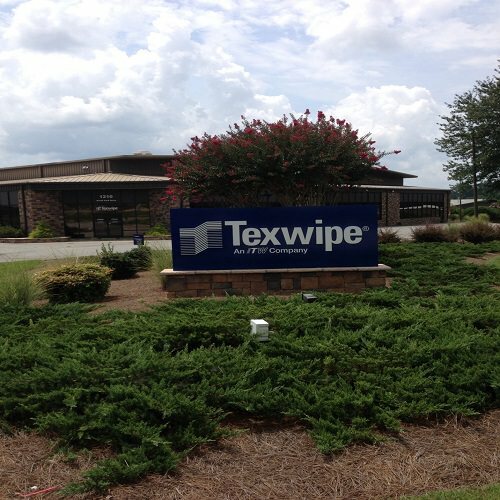 In July 2001, The Texwipe Company, LLC was aquired by Illinois Tool Works, Inc. (ITW). Today, Texwipe is the worldwide leader in contamination control products and process materials for aerospace, automotive, biotechnology, food processing, data storage, medical device, pharmaceutical, semiconductor, telecommunications and other industries requiring critical manufacturing environments. Texwipe's broad product line for contamination control includes a complete array of wipers, Swabs, mops, cleaning solutions and stationery for use in cleanroom environments. Products include Vectra® ultraclean sealed-border wipers, CleanPak® pre-wetted wipers, CleanTips® Swabs engineered for cleanliness and consistency, Transplex® ESD-safe Swabs, and TexWrite® cleanroom stationery. Texwipe also develops custom products to address specific customer requirements. Headquartered in Kernersville, North Carolina, the company supports global customers with sales offices throughout North America, Europe and Asia. Manufacturing centers located in North Carolina, the Philippines and China provide the highest levels of quality and manufacturing technology. Texwipe is committed to technology, innovation, and service excellence to provide the most consistent and highest quality products. All Texwipe products are supported by the most advanced testing and quality control standards in the industry. We are working with the leaders in technology-driven industries to apply our expertise in ever expanding ways. If you are looking for the best in the business, contact us today. Texwipe Business Scope: Manufacturing and Design of Consumables for the Electronic, Semiconductor and Life Science Industries.